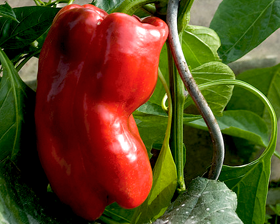 Marconi is a large, tapering Sweet pepper that tastes very good when eaten green and tastes super sweet when red. Delicious grilled with a bit of olive oil. Strong upright plants produce peppers 170-210g. Ready to crop in 85-105 days.